I had so much fun putting together this design for Mandi! 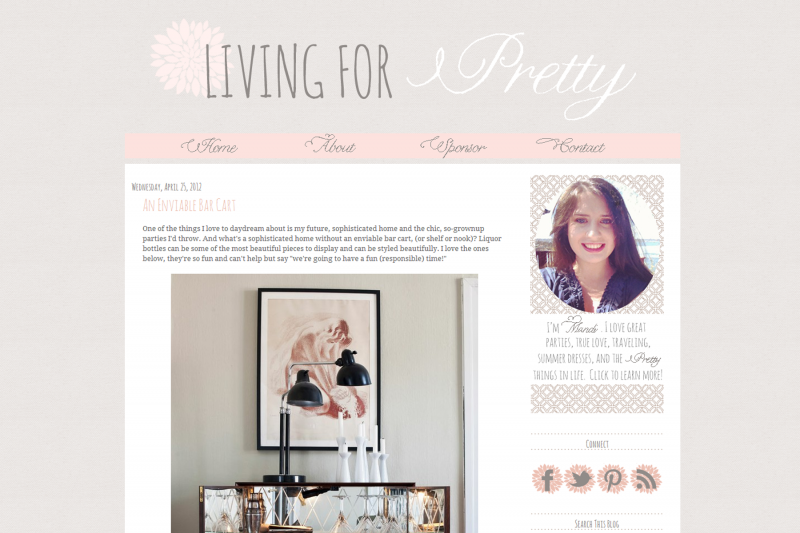 Her exact words in what she wanted for her design were “delicate, frilly, and clean” and she listed blogs such as Making it Lovely, Your Darling Blog, and M Loves M as sources of inspiration. I loved putting together this soft and feminine color palette for her! I love the final result! 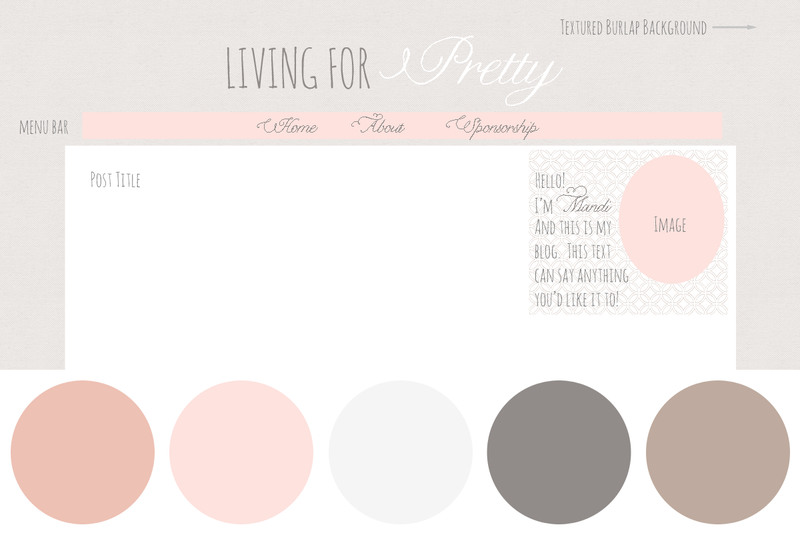 Make sure you check out Living for Pretty for yourself, there are some fun hover effects on the menu bar and the social icons! This is GORGEOUS!!!!!! Omgosh Kate you are phenomenally talented!!! Thank you Alexandra, you’re so sweet! Kate it looks fantastic! You have such an amazing eye for detail. Thanks Bekuh! I had a lot of fun with the details on this one, I love the geometric pattern and the flowers! You are brilliant! Love the textured burlap and the hover effects on both the pages and social icons. Colors are beautiful, too.